This is wish list shopping cart. We will send you prices for the following items. 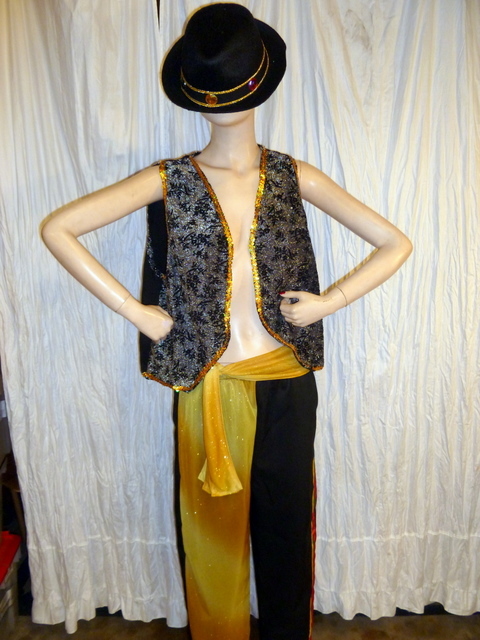 Black and gold men's costume with hat, vest, and pants. I am wanting the current prices on these items.